The National Institute for Government Procurement (NIGP) released their 2017 Public Procurement Benchmark Survey. This report provides metrics that can assist procurement professionals in everyday decision making. The results represent responses from 168 agencies in 35 states and provide a benchmark that individual agencies can use to compare their operations to those of other public procurement agencies. Improve the tracking “hard-cash” savings. Improve the tracking “soft-cash” savings. Enhance the use of auctions for procurement purposes. Increase the strategic standing of the procurement function within the organization. Grow the use of e-procurement systems and platforms for procurement purposes. Increase the number of training opportunities offered to procurement specialists. Maintain and, if possible, improve dedication to education requirement. Undertake efforts to shield the procurement function from politicization. Increase the prevalence of performance pay. We are excited to help make this recommendation a reality. Our software, ProcureWare, brings time savings of 50-70 percent in the bid and tender management process. We work alongside public procurement organizations to help them increase efficiency through eProcurement software implementation. Recomendations #1-3 and #8 are also part of our business strategy. ProcureWare reports track hard and soft savings and our auction capabilities help public sector organizations reduce costs through competitive bidding. Bring transparency to your procurement process and facilitate objective decision making with ProcureWare. Want to learn more? You can watch our product overview video here. 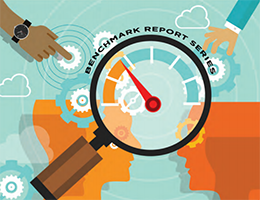 Download the 2017 Public Procurement Benchmark Survey.